Living the unique emotions that only an experience as the opera can transmit is something not to miss out on. All the more if the location is a truly splendid one as Tuscany during summer. 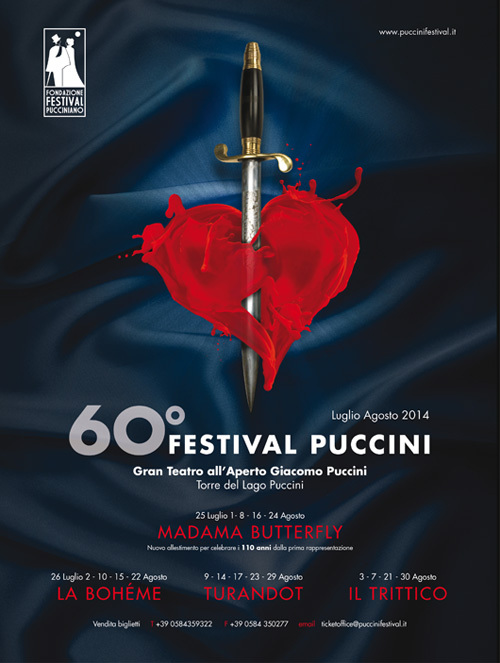 The Puccini festival once again, this year, will give you The chance to be part of this exclusive and chamring atmosphere, which brings back to life old but timeless stories and tales, certain to evoke strong but beautiful emotions. The festival has reached its 60th edition, a historical achievement, And never fails to bring back more and more people year after year. The Festival will take place in mid summer, from the July 25th to August 30th, The best part of the summer season when the weather will be at its best. The Puccini Festival is a unique chance to explore places the great composer Giacomo Puccini profoundly loved and often was seen attending during his life. Crossing Tuscany you will have the chance to explore and discover all its hidden beauties and charms, starting from the composer’s loved village: Torre del Lago Puccini. This quiet and peaceful village, a fraction of the Tuscan city Viareggio, originally called Torre del Lago, added Puccini to its name in honor of the world famous composer and illustrious citizen. It is especially because of Torre del Lago’s quiet and peaceful nature that Puccini decided to move there; he was in fact looking for a location to find profound serenity to express his immense creative genius. There is no better place to start the Puccini themed tour of Tuscany than Villa Puccini, the residence where the famous composer resided in during a long portion of his life falling in love with this amazing part of Italy. The nearby city of Viareggio was also a very important location for the composer Puccini. The city was already famous back then as a tourist destination, and was the home for Giacomo’s friend Galileo Chini, who was also the first set designer of the Turandot, in one of his many collaborations with Giacomo. If you happen to visit the city of Viareggio it is possible to take a tour of one of Puccini’s residences where he passed the last years of his life. Continuing the Puccini tour of Tuscany a must on the list of places to visit is Lucca, birthplace of the great composer. In the city of Lucca it is possible to tour the house where Giacomo Puccini was born in 1858. Also worthy of notice are other historical places to visit where Puccini liked to pass his time and days as: Caffè di Simo in Lucca or the Gran Caffè Margherita of Viareggio. No better location could be the perfect setting for the Puccini Festival as this stretch of Tuscany, between the Apuan Alps the breathtaking Tyrrhenian coasts. This entry was posted on Friday, June 13th, 2014 at 11:10 am	and is filed under Events in Italy. You can follow any responses to this entry through the RSS 2.0 feed. You can leave a response, or trackback from your own site.